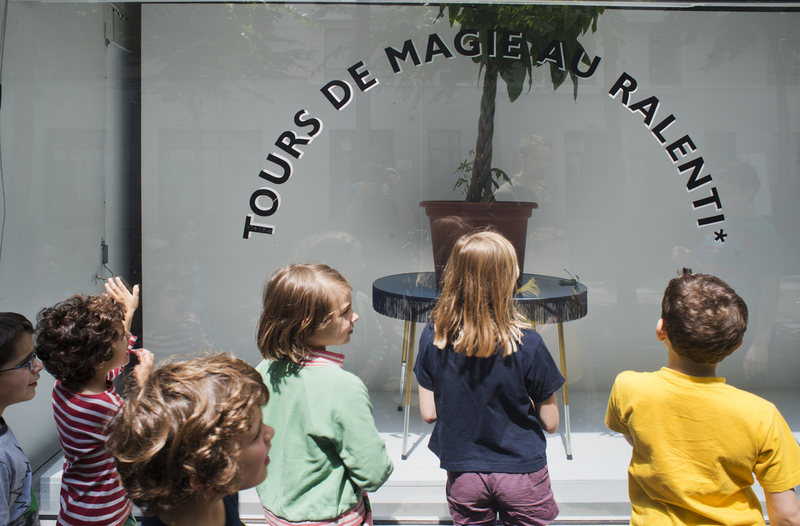 Over 24 days eight slow magic tricks were performed in the street-facing window of L' Antenne, Paris for an audience of casual passers-by. Each trick had three parts and was performed over three days. On day one the "before" of the trick, for example the ingredients to make cakes, were laid out on a tassle-edged oval table. 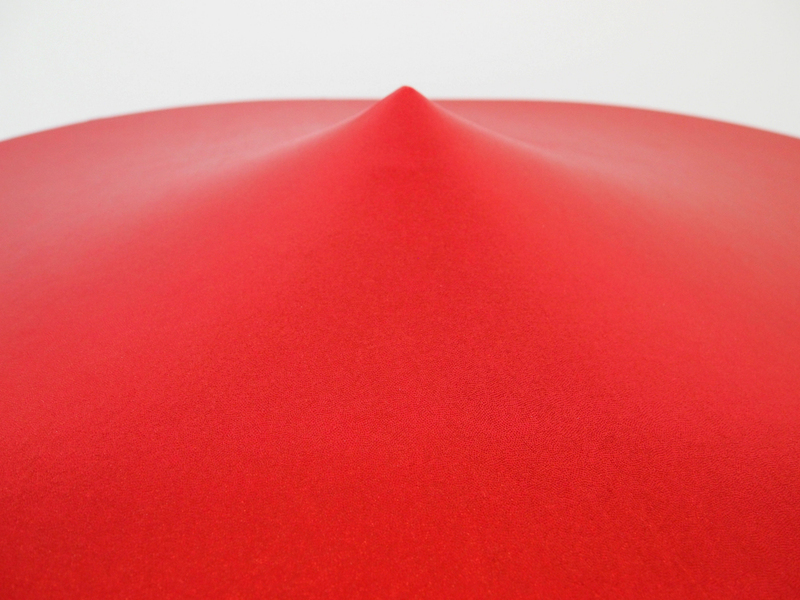 On the second day a shiny-red magic blanket hid the objects from view. On the third day the "after" of the trick was revealed, for example 62 decorated home-made cakes. 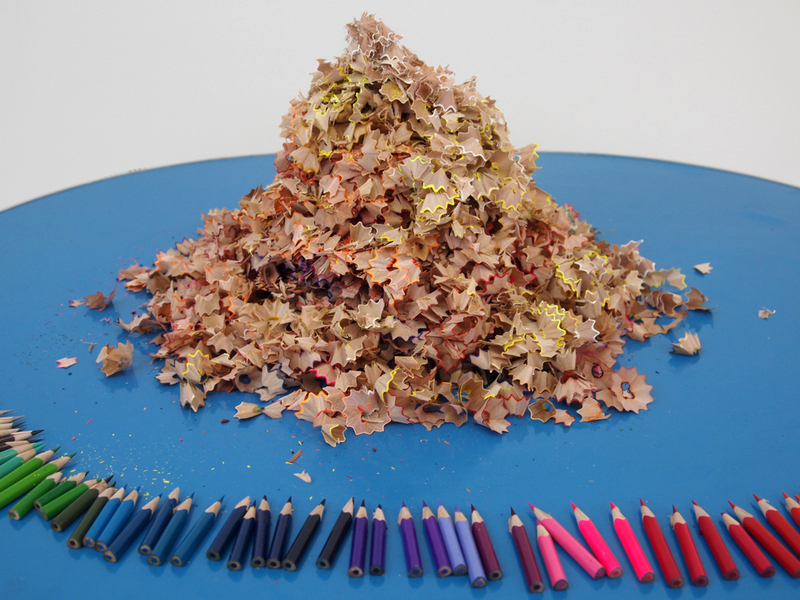 Tricks performed included; cake baking, pencil sharpening, knitted clothes unravelling, petals not falling, plants growing, newspaper reading, money changing and animal life living. Performed (at night, in secret) by Gilles Baume, Marie Baloup, Pauline Lacaze and Emilie Vincent of L' Antenne, an off-site project of FRAC LePlateau, Paris, France. 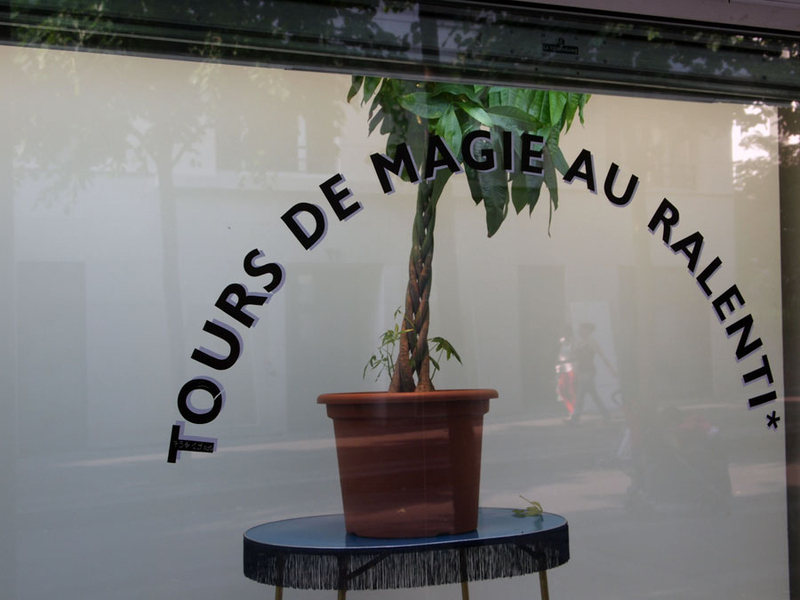 Window sign painted by Monsieur Blanc, one of the few remaining hand-lettering sign painters in Paris. 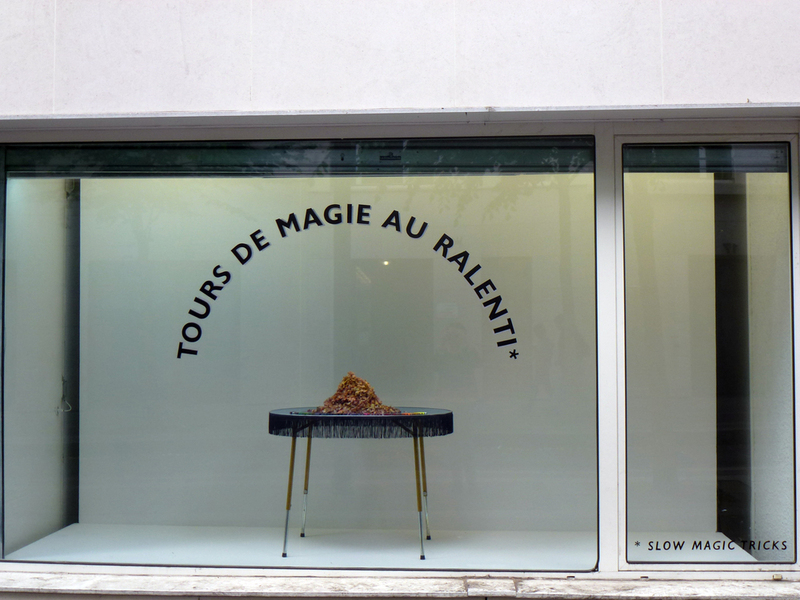 Slow Magic Tricks was part of the group exhibition Mount Fuji Does Not Exist curated by Elodie Royer and Yoann Gourmel at FRAC LePlateau, Paris in 2012.